Since 1906, more families have chosen to come to us for their funeral and cremation needs than any other provider in Southern California. The reason is simple. We provide a more personal type of attention, a more professional level of service, and a wider range of price options. Explore our locations by clicking the “Locations” icon above. Give us a call or drop by at any time and we’d be happy to show you how a little bit of planning can make a big difference. Our knowledgeable staff is here to help you at any time. Give us a call today and 888-204-3131, or visit our website and let us show you all that Forest Lawn can provide. Leonilo Mendoza Malinis, 70, born on January 17, 1949, in Bacoor, Cavite, Philippines, passed away April 22, 2019. He resided in Artesia, California at the time of his passing. Arrangements are under the direction of Forest Lawn, Cypress, California. Johanna H. Toorop, 81, born on January 27, 1938, in Indonesia, passed away April 21, 2019. She resided in Lake Forest , California at the time of her passing. Arrangements are under the direction of Forest Lawn, Cypress, California. 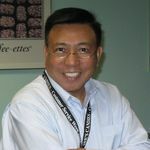 Dr. Ramon Fantony Apostol, 65, born on June 25, 1953, in Malabon, Philippines, passed away April 21, 2019. He resided in Norwalk, California at the time of his passing. Arrangements are under the direction of Forest Lawn, Cypress, California. Aurora Galindo Garcia, 87, born on October 21, 1931, in El Grullo, Jalisco , Mexico, passed away April 21, 2019. She resided in Perris, California at the time of her passing. Arrangements are under the direction of Forest Lawn, Cypress, California. 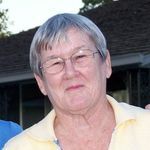 Christina Marie McCormick, 74, born on January 13, 1945, in California, passed away April 20, 2019. She resided in Buena Park, California at the time of her passing. Arrangements are under the direction of Forest Lawn, Cypress, California. Susan Marie Nevares Garcia, 54, born on August 12, 1964, in Torrance, California, passed away April 20, 2019. She resided in Long Beach, California at the time of her passing. Arrangements are under the direction of Forest Lawn, Cypress, California. Maria Libron Flores, 79, born on January 19, 1940, in Calatrava, Negros Occidental, Philippines, passed away April 19, 2019. She resided in Downey, California at the time of her passing. Arrangements are under the direction of Forest Lawn, Cypress, California. Joyce was born on May 16, 1945 and passed away on April 19, 2019. Joyce was a resident of Lake Elsinore, California. 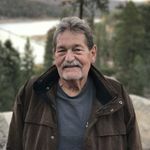 Mario Dominguez Martinez, 75, born on March 29, 1944, in Del Rio, Texas, passed away April 18, 2019. He resided in Corona, California at the time of his passing. Arrangements are under the direction of Forest Lawn, Cypress, California. 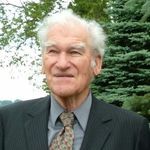 Joseph Preston, 92, born on January 31, 1927, in Dunfermline, Scotland, passed away April 18, 2019. He resided in Seal Beach, California at the time of his passing. Arrangements are under the direction of Forest Lawn, Cypress, California. 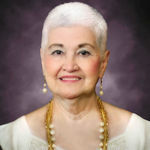 Julia G. Benitez, 81, born on May 22, 1937, in Philippines, passed away April 18, 2019. She resided in Carson, California at the time of her passing. Arrangements are under the direction of Forest Lawn, Cypress, California. 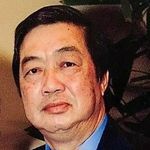 Romulo Casibu Arboleda, 75, born on January 9, 1944, in Philippines, passed away April 16, 2019. He resided in Buena Park, California at the time of his passing. Arrangements are under the direction of Forest Lawn, Cypress, California. Rebecca S. Wallace, 89, born on May 8, 1929, in Cebu City, Philippines, passed away April 16, 2019. She resided in Whittier, California at the time of her passing. Arrangements are under the direction of Forest Lawn, Cypress, California. 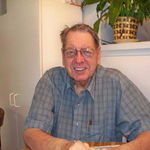 Gary W. Sorbel, 78, born on August 3, 1940, in Southam , North Dakota, passed away April 15, 2019. He resided in Anaheim, California at the time of his passing. Arrangements are under the direction of Forest Lawn, Cypress, California. 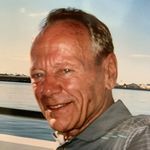 Richard Allen Berwanger, 78, born on March 21, 1941, in Hammond, Indiana, passed away April 14, 2019. He resided in Cypress, California at the time of his passing. Arrangements are under the direction of Forest Lawn, Cypress, California. 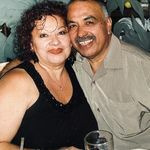 Gloria R. Rodriguez, 62, born on May 18, 1956, in Sanger, California, passed away April 13, 2019. She resided in Los Alamitos, California at the time of her passing. Arrangements are under the direction of Forest Lawn, Cypress, California. Randall Wayne Howard, 70, born on March 10, 1949, in Long Beach, California, passed away April 13, 2019. He resided in Fullerton, California at the time of his passing. Arrangements are under the direction of Forest Lawn, Cypress, California. 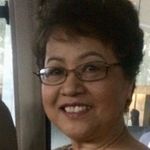 Teresita Dimaandal Fuller, 64, born on August 27, 1954, in Zamboanga Del Norte, Philippines, passed away April 13, 2019. She resided in Cerritos, California at the time of her passing. Arrangements are under the direction of Forest Lawn, Cypress, California. 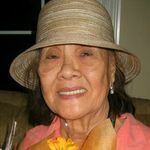 Lilia Montoya Muldong, 93, born on October 26, 1925, in Bamban, Tarlac Province, Philippines, passed away April 13, 2019. She resided in Stanton, California at the time of her passing. Arrangements are under the direction of Forest Lawn, Cypress, California. Jon J. Mitthof, 50, born on September 8, 1968, in Carmel , California, passed away April 12, 2019. He resided in Escondido , California at the time of his passing. Arrangements are under the direction of Forest Lawn, Cypress, California. Steven Akemi Yamashiro, 30, born on September 10, 1988, in Anaheim, California, passed away April 11, 2019. He resided in Buena Park, California at the time of his passing. Arrangements are under the direction of Forest Lawn, Cypress, California. Raymundo G. Abucejo Sr., 88, born on May 5, 1930, in Philippines, passed away April 10, 2019. He resided in Riverside , California at the time of his passing. Arrangements are under the direction of Forest Lawn, Cypress, California. Adelaido Ramada Bancale, 91, born on December 26, 1927, in Philippines, passed away April 10, 2019. He resided in Long Beach , California at the time of his passing. Arrangements are under the direction of Forest Lawn, Cypress, California. 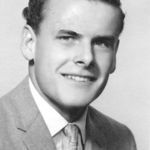 Edward Gordon Redard, Jr., 76, born on July 29, 1942, in Pasay City, Philippines, passed away April 10, 2019. He resided in Cerritos, California at the time of his passing. Arrangements are under the direction of Forest Lawn, Cypress, California. 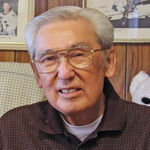 Dewayne Mierau, 93, born on September 23, 1925, in Henderson , Nebraska, passed away April 8, 2019. He resided in Cypress, California at the time of his passing. Arrangements are under the direction of Forest Lawn, Cypress, California. Augustin Samuel Frank, 92, born on December 4, 1926, in Ahmedabad, India, passed away April 5, 2019. He resided in Anaheim, California at the time of his passing. Arrangements are under the direction of Forest Lawn, Cypress, California. 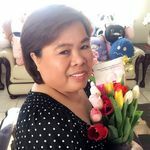 Arlene Adalin Go, 65, born on May 16, 1953, in Pasay City, Philippines, passed away April 5, 2019. She resided in Anaheim, California at the time of her passing. Arrangements are under the direction of Forest Lawn, Cypress, California. Percival De Honor Jr., 44, born on September 7, 1974, in Manila, Philippines, passed away April 1, 2019. He resided in Anaheim, California at the time of his passing. Arrangements are under the direction of Forest Lawn, Cypress, California. 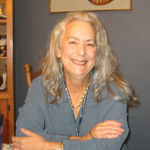 Judy Lyn Kuiper, 70, born on June 12, 1948, in Los Angeles, California, passed away March 31, 2019. She resided in Lakewood, California at the time of her passing. Arrangements are under the direction of Forest Lawn, Cypress, California. 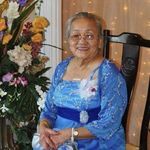 Consuelo Barnachea Vasquez, 88, born on January 1, 1931, in Manila, Philippines, passed away March 30, 2019. She resided in Cypress, California at the time of her passing. Arrangements are under the direction of Forest Lawn, Cypress, California. Edith Concepcion Lopez Gonzalez, 56, born on March 11, 1963, in Tehucan, Puebla, Mexico, passed away March 29, 2019. She resided in Laguna Niguel, California at the time of her passing. Arrangements are under the direction of Forest Lawn, Cypress, California. 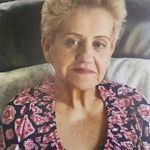 Alicia C. Cortes, 77, born on June 9, 1941, in Loreto, Zacatecas, Mexico, passed away March 29, 2019. She resided in Long Beach, California at the time of her passing. Arrangements are under the direction of Forest Lawn, Cypress, California. 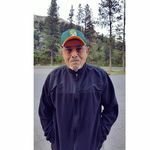 Francisco Linares Alvites, 76, born on November 21, 1942, in Cajamarca, Peru, passed away March 28, 2019. He resided in Los Alamitos, California at the time of his passing. Arrangements are under the direction of Forest Lawn, Cypress, California. 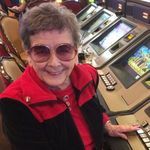 Royleen Effie Hobbs, 89, born on May 19, 1929, in Salt Lake City, Utah, passed away March 28, 2019. She resided in Long Beach, California at the time of her passing. Arrangements are under the direction of Forest Lawn, Cypress, California. 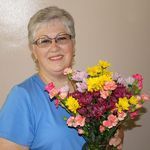 Ana Mercedes Morales, 66, born on August 22, 1952, in San Jose , Costa Rica, passed away March 28, 2019. She resided in Huntington Park, California at the time of her passing. Arrangements are under the direction of Forest Lawn, Cypress, California. Socorro Guzman Barrameda, 93, born on July 30, 1925, in Bacacay, Albay, Philippines, passed away March 28, 2019. She resided in La Mirada, California at the time of her passing. Arrangements are under the direction of Forest Lawn, Cypress, California. Tesimale Taamilo Tanea, 51, born on August 11, 1967, in American Samoa, passed away March 27, 2019. He resided in Fullerton, California at the time of his passing. Arrangements are under the direction of Forest Lawn, Cypress, California. Louise Thomas was born on November 16, 1922 and passed away March 27, 2019. Louise was a resident of Los Angeles, California. 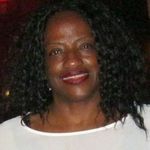 Dorothy Ruth Booker, 74, born on November 11, 1944, in Birmingham, Alabama, passed away March 26, 2019. She resided in Long Beach, California at the time of her passing. Arrangements are under the direction of Forest Lawn, Cypress, California. Marilyn Mercado Millare, 70, born on March 15, 1949, in Manila, Philippines. She passed away on March 25, 2019 surrounded by her family. She resided in Cerritos, California at the time of her passing. Arrangements are under the direction of Forest Lawn, Cypress, California. 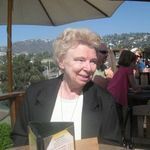 Audrey June Lenihan, 86, born on June 9, 1932, in Los Angeles, California, passed away March 24, 2019. She resided in Orange, California at the time of her passing. Arrangements are under the direction of Forest Lawn, Cypress, California. 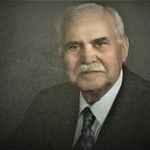 Alberto Espinoza Vega, 81, born on August 6, 1937, in Michoacan, Mexico, passed away March 22, 2019. He resided in Paramount, California at the time of his passing. Arrangements are under the direction of Forest Lawn, Cypress, California. 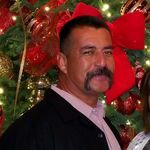 Mark Anthony Valle, Jr., 49, born on April 13, 1969, in Artesia, California, passed away March 21, 2019. He resided in Norwalk, California at the time of his passing. Arrangements are under the direction of Forest Lawn, Cypress, California. 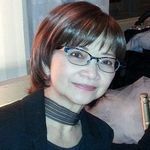 Dooley Obdulia Martinez, 64, born on October 30, 1954, in Manila, Philippines, passed away March 21, 2019. She resided in Buena Park, California at the time of her passing. Arrangements are under the direction of Forest Lawn, Cypress, California. 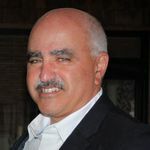 Manuel Calsada Gonzalez, 67, born on October 8, 1951, in Jamay, Mexico, passed away March 18, 2019. He resided in Fullerton, California at the time of his passing. Arrangements are under the direction of Forest Lawn, Cypress, California. Donald P. Olson, 93, born on September 25, 1925, in Bloomfield, Nebraska, passed away March 17, 2019. He resided in Cerritos, California at the time of his passing. Arrangements are under the direction of Forest Lawn, Cypress, California. 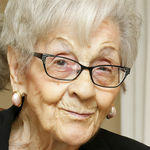 Katy G. Shahbaz, 92, born on April 15, 1926, in Tehran, Iran, passed away March 16, 2019. She resided in Los Alamitos, California at the time of her passing. Arrangements are under the direction of Forest Lawn, Cypress, California. 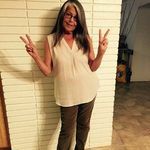 Doris AKA "Zonie" Arizona Elliott, 65, born on September 11, 1953, in Bishop, California, passed away March 15, 2019. She resided in Anaheim, California at the time of her passing. Arrangements are under the direction of Forest Lawn, Cypress, California. .
Rosario Espiel Agramon, 66, born on November 30, 1952, in Gubat Sorsogon, Philippines, passed away March 14, 2019. She resided in Lakewood, California at the time of her passing. Arrangements are under the direction of Forest Lawn, Cypress, California. 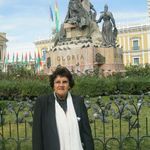 Ana Maria Cambambia, 69, born on April 10, 1949, in Coatepec, Mexico, passed away March 14, 2019. She resided in Long Beach, California at the time of her passing. Arrangements are under the direction of Forest Lawn, Cypress, California. Encarnacion R. Molina, 102, born on December 17, 1916, in Laoag, Philippines, passed away March 14, 2019. She resided in Cerritos, California at the time of her passing. Arrangements are under the direction of Forest Lawn, Cypress, California. 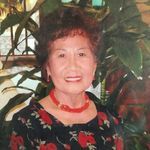 Evelina Francisco Carale, 80, born on August 22, 1938, in Manila, Philippines, passed away March 11, 2019. 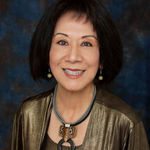 She resided in Cerritos, California at the time of her passing. Arrangements are under the direction of Forest Lawn, Cypress, California. Jacqueline Marie Vallone, 75, born on February 15, 1944, in Michigan, passed away March 11, 2019. She resided in Seal Beach, California at the time of her passing. Arrangements are under the direction of Forest Lawn, Cypress, California. 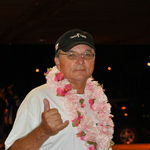 Michael Anthony Radford, Sr., 60, born on December 6, 1958, in Pine Bluff, Arkansas, passed away March 10, 2019. He grew up and lived in Compton, California. He resided in Los Angeles at the time of his passing. Arrangements are under the direction of Forest Lawn, Cypress, California. John Morris, 68, born on November 1, 1950, in California, passed away March 8, 2019. He resided in N. Edwards, California at the time of his passing. Arrangements are under the direction of Forest Lawn, Cypress, California. 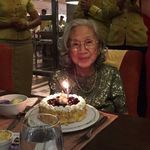 Chheng Yin, 97, born on December 11, 1921, in Cambodia, passed away March 7, 2019. He resided in Lakewood, California at the time of his passing. Arrangements are under the direction of Forest Lawn, Cypress, California. 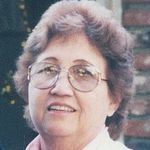 Louise May Cotta, 77, born on September 26, 1941, in Covina, California, passed away March 6, 2019. She resided in Bellflower, California at the time of her passing. Arrangements are under the direction of Forest Lawn, Cypress, California. 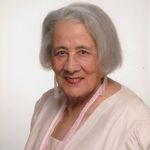 Marie P. Johnson, 79, born on May 30, 1939, in Granville, North Carolina, passed away March 5, 2019. She resided in Seal Beach, California at the time of her passing. Arrangements are under the direction of Forest Lawn, Cypress, California. Widaningsih Ben Abraham, 66, born on September 25, 1952, in Sukabumi, Indonesia, passed away March 5, 2019. She resided in Garden Grove , California at the time of her passing. Arrangements are under the direction of Forest Lawn, Cypress, California. Felipa Castillo Rojo, 92, born on May 1, 1926, in Lingayen, Pangasinan, Philippines, passed away March 5, 2019. She resided in Westminster, California at the time of her passing. Arrangements are under the direction of Forest Lawn, Cypress, California. Jose Munoz, 79, born on November 22, 1939, in Laredo, Texas, passed away March 5, 2019. He resided in Buena Park, California at the time of his passing. Arrangements are under the direction of Forest Lawn, Cypress, California. Andrea A. Ablian, 99, born on January 23, 1920, in Philippines, passed away March 4, 2019. She resided in Los Alamitos , California at the time of her passing. Arrangements are under the direction of Forest Lawn, Cypress, California. 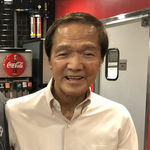 Samuel Yukio Goto, 90, born on July 15, 1928, in Honolulu, Hawaii, passed away March 3, 2019. He resided in Orange , California at the time of his passing. Beloved husband and father. Korean War veteran, retired aerospace engineer who worked on the communications systems for the Space Shuttle and International Space Station. Arrangements are under the direction of Forest Lawn, Cypress, California. Gregory Randolph Barnes, 72, born on December 5, 1946, in Los Angeles , California, passed away March 3, 2019. He resided in La Palma, California at the time of his passing. Arrangements are under the direction of Forest Lawn, Cypress, California. Maria Concepcion Manzo, 72, born on January 30, 1947, in Tequila, Jalisco, Mexico, passed away February 27, 2019. She resided in Buena Park, California at the time of her passing. Arrangements are under the direction of Forest Lawn, Cypress, California. Althea Delwin Snyder, 90, born on December 13, 1928, in Ellsworth, Pennsylvania, passed away February 26, 2019. She resided in Anaheim, California at the time of her passing. Arrangements are under the direction of Forest Lawn, Cypress, California. Douglas Vladimir Salguero, 48, born on July 16, 1970, in El Salvador, passed away February 23, 2019. He resided in Long Beach , California at the time of his passing. Arrangements are under the direction of Forest Lawn, Cypress, California. 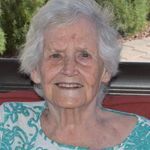 Betty Hamilton Roeland, 96, born on March 14, 1922, in Long Beach, California, passed away February 23, 2019. She resided in Fountain Valley, California at the time of her passing. Arrangements are under the direction of Forest Lawn, Cypress, California. 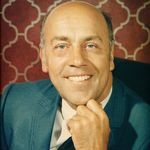 Elvin Ralph McIntosh, 89, born on November 25, 1929, in Torrance, California, passed away February 23, 2019. He resided in Cypress, California at the time of his passing. Arrangements are under the direction of Forest Lawn, Cypress, California. Thomas Leland Taylor, 78, born on February 24, 1941, in New Brighton, Pennsylvania, passed away February 21, 2019. He resided in Garden Grove, California at the time of his passing. Arrangements are under the direction of Forest Lawn, Cypress, California. 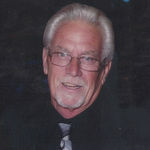 Gary Lawrence Cunningham, 72, born on May 25, 1946, in Long Beach, California, passed away February 20, 2019. He resided in Stanton, California at the time of his passing. Arrangements are under the direction of Forest Lawn, Cypress, California. Jennie Marie Zanic, 91, born on January 23, 1928, in Camden, New Jersey, passed away February 20, 2019. She resided in Anaheim, California at the time of her passing. Arrangements are under the direction of Forest Lawn, Cypress, California.